Joel Skidmore founded Mesoweb in 1997 and Precolumbia Mesoweb Press in 2005. He has edited The PARI Journal since 2003. 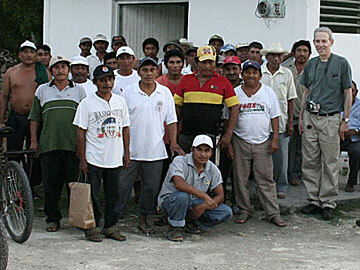 The photograph above shows him with community members of ejido San Ramón, Quintana Roo, after securing their permission to enter the site of El Resbalón in May 2006.